Print the free printable tags below and attach to your handmade item to add the perfect finishing touch! When I design my crochet patterns for RPD I love to gift them once I am done. I always struggled with finding cute packaging so I designed these printable gift tags and I am pretty happy with how they turned out! I am so excited to use these tags on my next design (hint… it’s a new blanket) and I hope you are just as excited to put them to use too! 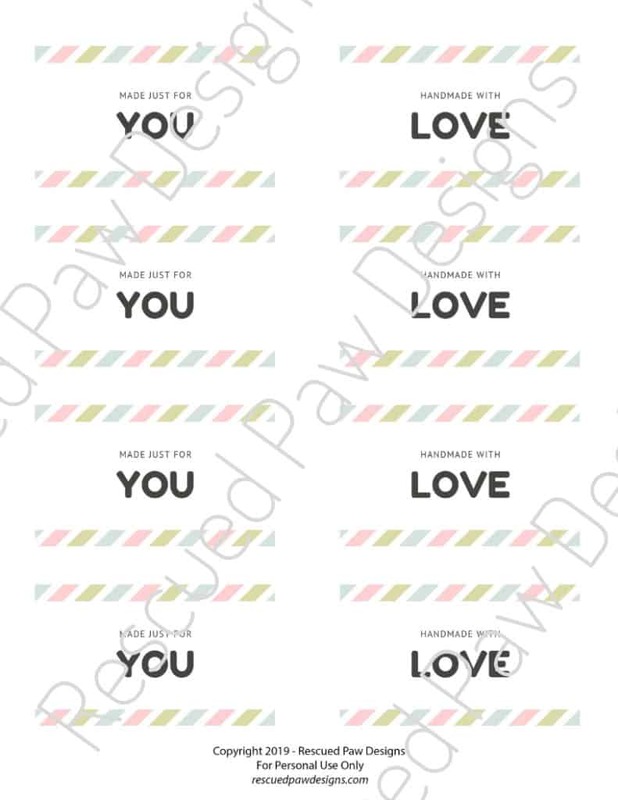 Just print these cute gift tags and attach to your handmade gift! 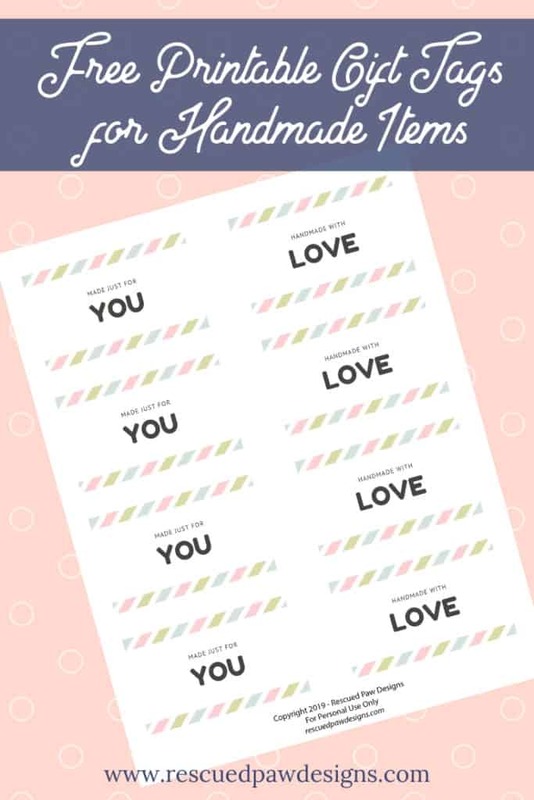 If you are looking for an easy way to add an extra special made just for you feeling to your gift then this printable is it! After the tags are printed just cut out with scissors, use a hole punch to attach the string and you are ready to gift. Use your free printable tags on my favorite crochet pattern! Once you print your new tags be sure to check out the Jane Crochet Throw Blanket below! It is one of my favorite designs and I thought you might like it too! To download the free handmade gift tag printable just scroll down below the image! 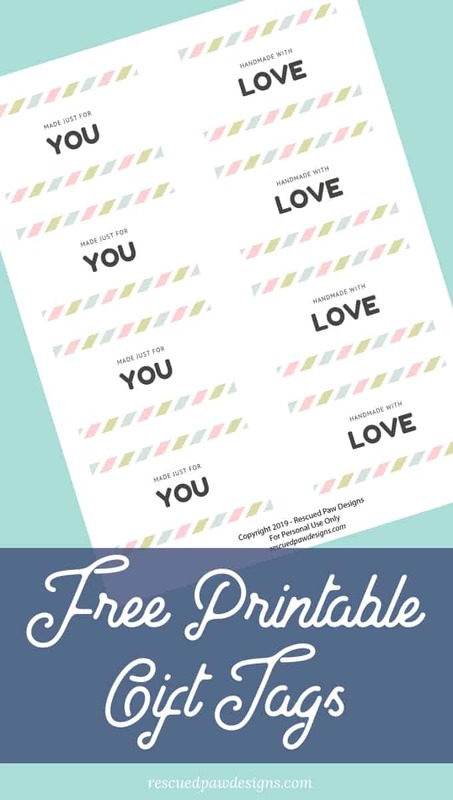 Click the button below to download your free printable gift tag sheet! Happy Gifting! Sign up to get the gift tags delivered to your inbox! Want more free crochet patterns and yarn related goodies?